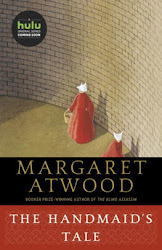 Today I'm featuring the opening from a book I recently borrowed from the library, that I read last week in advance of attending a literary brunch where the author was the featured speaker. . . . I am walking along a secluded, wooded path in a park in Brooklyn--my favorite place to forage for wild edibles in the city. My backpack is filled with plastic bags, a worn field edition of Euell Gibbons's Stalking the Wild Asparagus, and a box cutter that doubles as a knife. The wood mulch and dirt are damp beneath my sneakers as I make the slow climb up toward my destination. Down below, cyclists and joggers are making their way along the road that loops through the park, and I can hear the resounding clomp of a horse along the bridle path. In the height of early autumn, everything below is obscured by a rich tangle of leaves just starting to turn reddish gold in the morning light. A dog barks in the meadow. The descriptive opening paragraph draws the reader into an exciting adventure . . . one that will have you looking at weeds with a whole new appreciation. 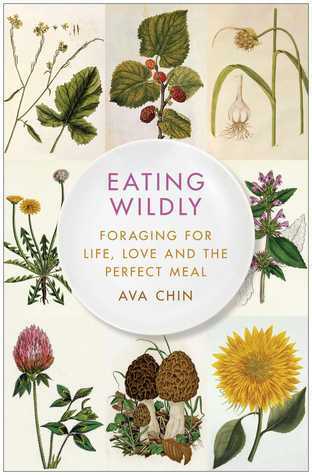 At turns humorous and touching, this memoir is about much more than discovering edible plants in the unlikeliest of places. Ms. Chin takes readers on a journey through major events in her life, as she navigates personal and family relationships in her quest for love and meaning in an urban environment. Beyond recipes and valuable information about local flora and fauna, it is a refreshingly candid, honest, and poignant account of an independent woman's path to self-discovery. I highly recommend this delightful book to individuals and book clubs alike. First Chapter ~ First Paragraph #105 was originally published by Catherine for bookclublibrarian.com. This post cannot be republished without attribution. Retweeting and sharing on Google+ encouraged. Looks like a great book for a book club.